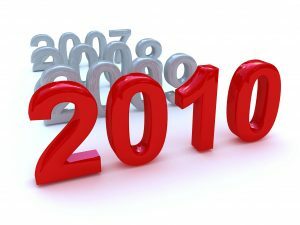 Kerry Maxwell, author of the Macmillan Dictionary BuzzWord articles, casts her eye over the noughties and the words that defined each year. Don’t forget: Macmillan Dictionary and Onestopenglish have teamed up for a Christmas special for teachers in the month of December! Downed a few alcopops when we proposed a toast to the noughties. My new year’s resolution is to start writing a blog. In search of romance, went to my first speed dating fixture and sparkled with bling during each three-minute encounter. Turned on the TV today and saw the horrors of 9/11. Should I be worried about weapons of mass destruction? Turns out that those pesky politicians have been sexing things up and that SARS is a bigger worry – is that the same as bird flu? Have decided to treat myself to some slow food and stop buying obesogenic goodies. At least I’ll avoid the fat tax. Do I look like a chav? Hope not, because in July I’m getting married to a metrosexual! Went to Glastonbury and had an embarrassing wardrobe malfunction whilst eating a supersize hamburger. Did sudokus when I was bored. Downloaded my first podcast. An interview with a WAG. Keep thinking about climate canaries as I see the walking bus trudging through the rain. Crunch creep. My bank account is toxic. Have opted for a staycation. Have decided to get rid of my computer, though not until I’ve defriended a few people first. Bad cold – do I have swine flu? Let us know what YOU think the defining new words of the noughties are! This blog is really wonderful. I am a High School English Teacher in Manipur, India and I am very much eager to associate myself with Macmillan. Excellent blog with very useful and up to date buzzwords. But what makes it so complete is the additional background information and the origins of the words. Any English language lecturer/teacher should tune into this blog! Ipod I though would be another well used term in everyday life. Well, at school the students say ipod a fair amount of times, as with other terms stated above. The use of American terms seems to be growing in uses with the media and people are repeating such terms as staycation. Walking bus for young children is good and the word metro sexual seems to be used a lot more after the Beckham factor. What about games console or text message?